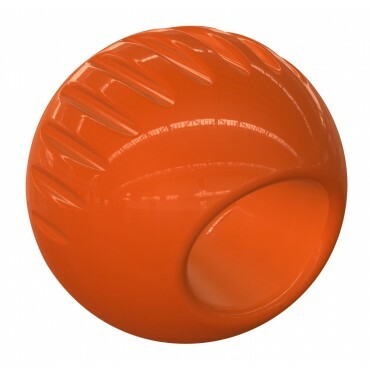 The Bionic Ball offers some familiarity as it is the same size as a tennis ball. 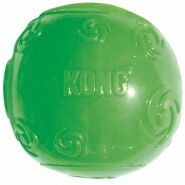 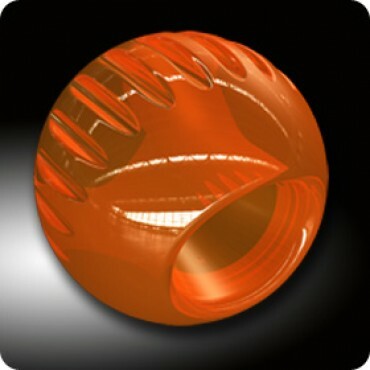 However, its unique design offers unpredictability and fun with each toss. 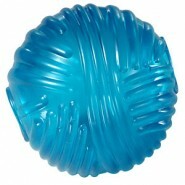 Throw the ball against the spine and it bounces normally. 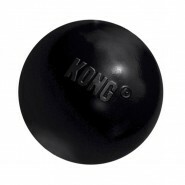 When your dog thinks he knows where the ball is going to bounce, throw it against the opening to create an unpredictable bounce that's sure to lead to hours of fun!